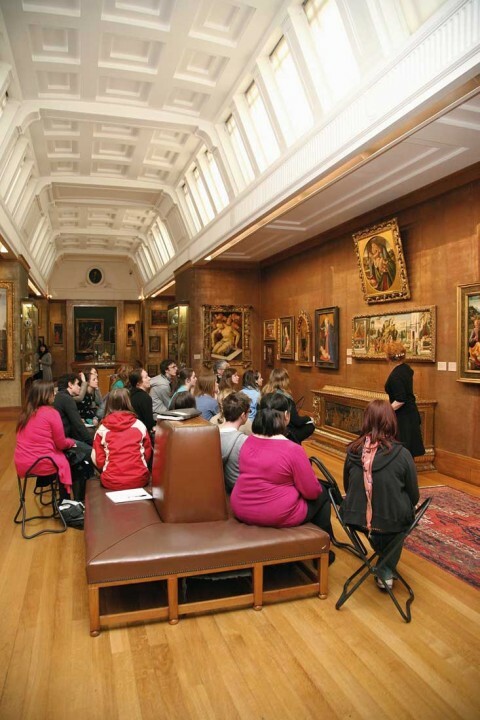 The Fitzwilliam Museum, University of Cambridge has developed a fruitful collaboration with the University of Cambridge Faculty of Education, enabling object-based learning to be embedded in the teaching of all Primary PGCE students, and subject specific Secondary PGCE students including English, Religious Studies and Modern Foreign Languages. In 2013, more than 200 students took part in sessions with museum staff, who demonstrated the principles and practice of object-based learning. Students carry out structured placements in museums across Cambridge, developing their own teaching resources and exploring how the diverse collections can be used to enrich and extend their future professional practice.